This is a guest post by SEO Expert Zach Prez. Ranking in search is a huge factor that can put a local small business in the photography industry on the path to success. Search is huge to the tune of $80 billion — that’s how much economic activity Google generated for U.S. businesses in 2011. 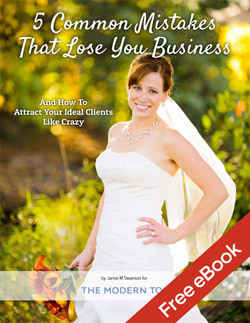 It’s fun to dream about ranking #1, growing your business and gaining a bucket of disposable income. I’d spend it on a lifetime supply of Keurig coffee cups, an entire furniture collection from Pottery Barn Kids, and a season pass to Disneyland with airfare for five. The money is appealing, but it certainly isn’t the lone benefit of ranking well. And we haven’t even reached the best part: New business that starts in search engines has a multiplier effect that leads to repeat clients, referrals and reputation. 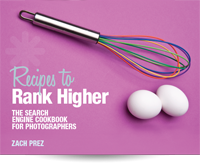 The cookbook covers everything I’ve learned the past 10 years that’s relevant to ranking higher — from image optimization and video ranking to Google+ and Google Places. I wrote this new ebook because so much has changed. I consult with photographers every day and all of them have preconceived notions about what Google cares about. And they’re wrong! Instead of writing a traditional post here that discusses the same ranking factors as everyone else, I’m here to turn the discussion upside down — to convince you that something’s wrong with your current search engine optimization (SEO) process. Invariably the answer is something like, “Sacramento wedding photographer.” (I already knew this was the answer I would get because they used that phrase at the end of every blog post title.) I say, “That’s it?” Selling yourself on one topic is like opening a bookstore and selling only one book. Even if it’s a #1 topic like Harry Potter, you’re missing hundreds or thousands of topics people are looking for. Your business will never survive. Google has never seen 15% of the searches it receives. These are unique, ultra-specific searches that didn’t happen 10 years ago. 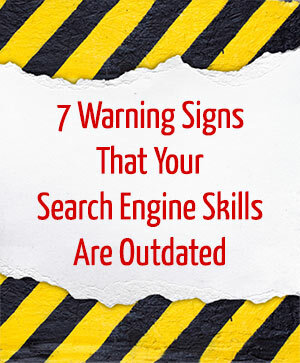 Searchers have learned to type exactly what they’re looking for. They may start with a general search of the phrase “wedding photographer,” but a search for “best Hilton Hotel Sacramento wedding photos” is one that generates new business. Make sure you’re optimized for dozens of related phrases instead of just one. Last week I helped a wedding photographer and noticed the same keywords tacked on to the end of all her blog posts. Remember, only one page on your site will rank for any single phrase. A better approach is to describe your pages naturally. In doing so you will create pages about dozens of topics and can therefore rank for dozens of different keyword combinations. Often times, photographers omit text from their pages. Maybe you’re not a writer, don’t like to write or think it makes your site design look lame. A site without text likely won’t rank well. Google needs text on the page to understand the topics being discussed. And when search engines are given a choice between ranking two pages, it assumes the searcher wants the page with more content on it. A page with text outranks one without when all else is equal. Take the opportunity to tell the story of a photography session. In doing so you’ll naturally use several keywords related to the topics you want to be found for. You can also tell users about how great you are, why they should hire you, and what they can do next to contact you. This kind of text, although not as pretty as a photo, will get those searchers to book a session more quickly. Flash sites look nice, but they’re no longer functional for today’s Internet user. Flash designs inherently lack text. If you have short-term memory, this is bad for search. The ones that do have text have buried the words in HTML shadow sites that Google will largely ignore since users can’t see them. Flash sites combine many pages under one URL, yanking your opportunity to create more topics to rank for (remember the bookstore analogy). Flash sites make it difficult, if not impossible, to share pages via Facebook and Pin images on Pinterest. Social sharing is a big factor in ranking high, so between search and social these sites are missing out on the two biggest sources of web traffic! I feel like I’m rubbing salt in the wound at this point, but one more thing: Have you looked at your Flash site on a mobile device? Ouch. Google will hesitate to rank a Flash site in its mobile search rankings, so there goes another 20% of your potential clients. While we’re on the topic of mobile, know that mobile search is different than desktop search. Google’s intent is to create the best experience for users so they can find what they are searching for. The company is well aware that people’s Internet preferences change based on what kind of device they’re using. An inflexible website optimized for viewing on a desktop is hard to use on a phone. Users don’t like it, so Google is less likely to rank it when given the choice of a mobile-optimized site. What do I mean by mobile-optimized? Having a separate mobile site is soooo two years ago. The newest technology is called >responsive design, where the same webpage scales depending on the size of the browser window. Thus, a mobile user sees the same page as a desktop user; the page is just organized differently. A slow website will get dinged in mobile search. What have you done to optimize your site for speed? It’s an important recipe in my cookbook. Ahhh, you just made me want to contact you faster! Have you ever thought about your first interaction with a newspaper (or perhaps an iPad) in the morning? You look at the main photo and then read the caption. Captions are important to readers. Google does a similar scan. It uses captions to understand the topic of a page. How many of your webpage photos have captions (text nearby an image)? Keywords in text near photos are given more weight by Google, helping the image and page rank more easily. Captions should figuratively describe what is happening (with story and emotion), while alternate text describes the photo literally. I recommend using captions for most of the images on your page. In the beginning, focus only on your most important pages — it’s not worth going back to every old page — plus all new pages you create. Do the end of your blog posts look like this? I don’t know why website providers keep these fields. I suspect it’s a signal to the average person that the website system is SEO-friendly. But the fact of the matter is they make no difference. The only place keywords are helpful is in YouTube videos and stock photo sites. A plain search result is now considered boring, as Google is spicing up its pages with visual information about you and your business. The following example of a Google search for me shows two types of headshots. Both establish trust and increase click-through from search pages. The right side above is my Google+ profile. The fact that your Google+ profile and posts can show in search is another reason you can’t ignore Google+ if you want to rank well. Optimize your site for dozens of phrases instead of one. Create unique titles for your pages instead of repeating the same phrase. Get rid of your Flash site. Optimize for mobile with a fast, responsive design and click-to-call link. Add captions to your photos. Skip over the keyword fields. Create a Google+ profile and add Google Authorship to your articles. I recently released a brand new ebook that outlines everything you need to know about SEO to rank well in Google. Because it’s brand new, I’m offering a special discount of $20 off for a limited time. So pick up a copy now and start out-ranking your competitors in Google! Zach Prez is an Internet Marketing specialist with 10+ years of experience. His expertise in SEO, social media, email marketing, and web design has been shared in dozens of top photography sites and magazines. He’s a husband and father of three, ninja at Ms Pac Man, and loves books on art crime. Get all of my super powers on Facebook and Pinterest. Who do I think will most benefit from using this book? If you’re super techy and already have a decent grasp on SEO, this ebook is probably not for you. However, if you have no idea how to rank in Google and you are looking for someone to tell you step-by-step in easy-to-understand language exactly what you need to do, this book would be perfect for you. His “recipes” walk you through each part, making it easy to optimize for search engines without needing to know any jargon or technical stuff. It’s everything you need to know to get a solid base for ranking high. Also, the community and videos are invaluable for getting clarity and help on a topic that confuses many photographers. Pick up your copy now by clicking here.